On the 7th of June 2018, The National Archives UK held its inaugural digital lecture, delivered by Professor Luciano Floridi entitled “Semantic Capital: What it is and how to protect it”. The lecture was followed by a poster exhibition, showcasing nine cutting-edge digital research projects at The National Archives (You can listen to the lecture’s podcast and see the posters at: https://media.nationalarchives.gov.uk/index.php/digital-lecture-semantic-capital/ Accessed on 12 July 2018). This paper aims at giving a distinct overview of The National Archives’ digital research priorities, drawing on examples from the active and recently completed research projects, which were displayed at the exhibition on the 7th of June 2018. The focus of this paper is to discuss the research challenges that we are facing as we seek to become a second-generation digital archive, that is digital by instinct and design. 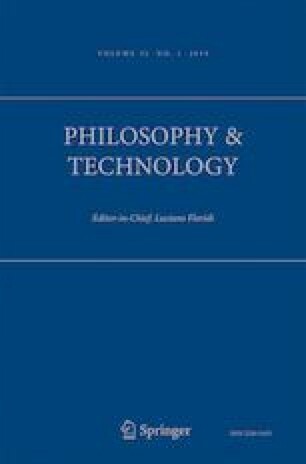 By placing a particular emphasis on the conceptual and epistemological challenges relating to trust and openness, the paper suggests that research is the key for us as a rapidly evolving digital archive; enabling us not only to inform but also innovate around the forthcoming digital challenges, and helping us to define future directions and lead the shaping of the future archive. We would like to thank our colleagues Dr. Sonia Ranade, Head of Digital Archiving, and Alex Green, Digital Preservation Services Manager, at The National Archives UK for providing insight and expertise that greatly assisted parts of this paper. Bell, M., Ranade, S. (2015). Traces through time: a case-study of applying statistical methods to refine algorithms for linking biographical data, In Serge ter Braake, Antske Fokkens, Ronald Sluijter, Thierry Declerck and Eveline Wandl-Vogt (Ed. ), Proceedings of the First Conference on Biographical Data in a Digital World 2015, pp. 24–32. http://ceur-ws.org/Vol-1399/paper5.pdf Accessed 12/07/2018. Bell, M., Hillyard, M., Ranade, S. (2018). Traces Through Time. Poster displayed at the poster exhibition at the first annual Digital Lecture at The National Archives, page 5. https://www.nationalarchives.gov.uk/documents/digital-projects-at-the-national-archives.pdf Accessed 12/07/2018. Collomosse, J., Bui, T., Brown, A., Sheridan, J., Green, A., Bell, M., Fawcett, J., Higgins, J., Thereaux, O., et al. (2018a), ARCHANGEL: Trusted archives of digital public documents. Accepted article. The 18th ACM symposium on document engineering. https://arxiv.org/abs/1804.08342v1 Accessed 12/07/2018. Collomosse, J., Bell, M., Green, A., Mulinder, A., Sheridan, J., et al. (2018b). Using blockchain to engender trust. Poster displayed at the poster exhibition at the first annual Digital Lecture at The National Archives, Page 7. https://www.nationalarchives.gov.uk/documents/digital-projects-at-the-national-archives.pdf Accessed 12/07/2018. Dunley, R. (2018a). Machines reading the archive: handwritten text recognition software. Blogpost. https://blog.nationalarchives.gov.uk/blog/machines-reading-the-archive-handwritten-text-recognition-software/ Accessed on 31/07/2018. Dunley, R. (2018b). Can machines read handwriting? Poster displayed at the poster exhibition at the first annual Digital Lecture at The National Archives, page 6. https://www.nationalarchives.gov.uk/documents/digital-projects-at-the-national-archives.pdf Accessed 12/07/2018. Goudarouli, E., Alexander, A., (2018) Beyond words: exploring historical document collections at scale. Blogpost. https://blog.nationalarchives.gov.uk/blog/beyond-words-exploring-historical-document-collections-scale/. Accessed on 30/07/2018. Goudarouli, E., Perin, C., (2018) Exploring new ways of visualising The National Archives’ First World War diaries. Blogpost. https://blog.nationalarchives.gov.uk/blog/data-visualisation-first-world-war-diaries/ Accessed on 12/07/2018. Goudarouli, E., Winters, J., (2018) Opening up web archives to research and innovation. Blogpost. https://blog.nationalarchives.gov.uk/blog/opening-web-archives-research-innovation/Accessed on 21/09/2018. Green, A., (2018), Trustworthy technology: the future of digital archives. Blogpost. https://blog.nationalarchives.gov.uk/blog/trustworthy-technology-future-digital-archives/Accessed on 31/07/2018. James, J., Johnson, V., Hunter I. (2018), Archives matter. Insights, 31, 26, https://doi.org/10.1629/uksg.417 Accessed on 30/07/2018. Liem, J., Goudarouli, E., Hirschorn, S., Wood, J., Perin, C., et al. (2018). Conveying uncertainty in archived war diaries with GeoBlobs. Accepted and Awarded the IEEE InfoVis Best Poster 2018 award. IEEE VIS 2018. http://vu2044.serv01.menkisys.de/geoblob/geoblob_poster_abstract_vis2018.pdf And http://vu2044.serv01.menkisys.de/geoblob/geoblob_poster_vis2018_A0.pdf. Accessed 20/09/2018. Mulinder, A., Clipsham, D., Underdown, D., Waddington, S., Ranade, S., et al. (2018). A Bayesian model of preservation risk. Poster displayed at the poster exhibition at the first annual Digital Lecture at The National Archives. Page 3. https://www.nationalarchives.gov.uk/documents/digital-projects-at-the-national-archives.pdf Accessed 12/07/2018. Ranade, S., (2016). Traces through time: a probabilistic approach to connected archival data. Paper presented. IEEE Big Data 2016: 1st CAS workshop. https://ieeexplore.ieee.org/document/7840983/. Copy available at: http://dcicblog.umd.edu/cas/wp-content/uploads/sites/13/2016/05/2.pdf Accessed 20/09/2018. The National Archives. (2015). Archives Inspire. http://nationalarchives.gov.uk/about/our-role/plans-policies-performance-and-projects/our-plans/archives-inspire/ Accessed 12/07/2018. The National Archives. (2017a). Digital strategy. https://www.nationalarchives.gov.uk/about/our-role/plans-policies-performance-and-projects/our-plans/digital-strategy/Accessed 12/07/2018. The National Archives (2017b). Digital Cataloguing Practices. http://www.nationalarchives.gov.uk/documents/digital-cataloguing-practices-march-2017.pdf Accessed 12/07/2018. The National Archives. (2017c). Archives Unlocked. http://www.nationalarchives.gov.uk/documents/archives/Archives-Unlocked-Brochure.pdf Accessed 12/07/2018. The National Archives (2018). Research Priorities. http://www.nationalarchives.gov.uk/about/our-research-and-academic-collaboration/our-research-and-people/our-research-priorities/ Accessed 12/07/2018. Sheridan, J., Riley, J. (2018). Big Data for Law. Poster displayed at the poster exhibition at the first annual Digital Lecture at The National Archives. Page 1. https://www.nationalarchives.gov.uk/documents/digital-projects-at-the-national-archives.pdf Accessed 12/07/2018. Storrar, T., Newing, C., Feissali, K. (2018). Webrecorder: archiving the un-archiveable. Poster displayed at the poster exhibition at the first annual Digital Lecture at The National Archives. Page 9. https://www.nationalarchives.gov.uk/documents/digital-projects-at-the-national-archives.pdf Accessed 12/07/2018.